This is the last word in last resort belts. Don't know what a last resort belt is? An LRB is a nylon web belt that is stylish enough to be worn with jeans, but is truely at home with BDUs and military attire. 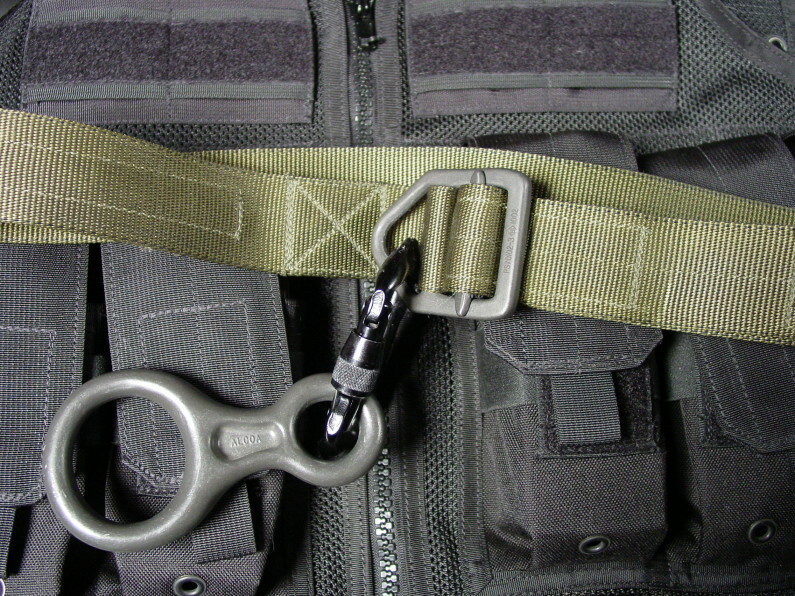 These are worn like any inner belt, but in a pinch there is a Mil-Spec reinforced buckle that can be used to fully support one's body weight for rappelling or harnessing. In a Last Resort situation, a caribiner, and or figure-8 can be attached for extrication/evac/rappelling. The Specter Last Resort Belt (LRB) is constructed from 1.75", 7000 lb. test, resin treated, Mil-Spec Type 13 Mil-W-4088 parachute webbing with a 2500 lb. 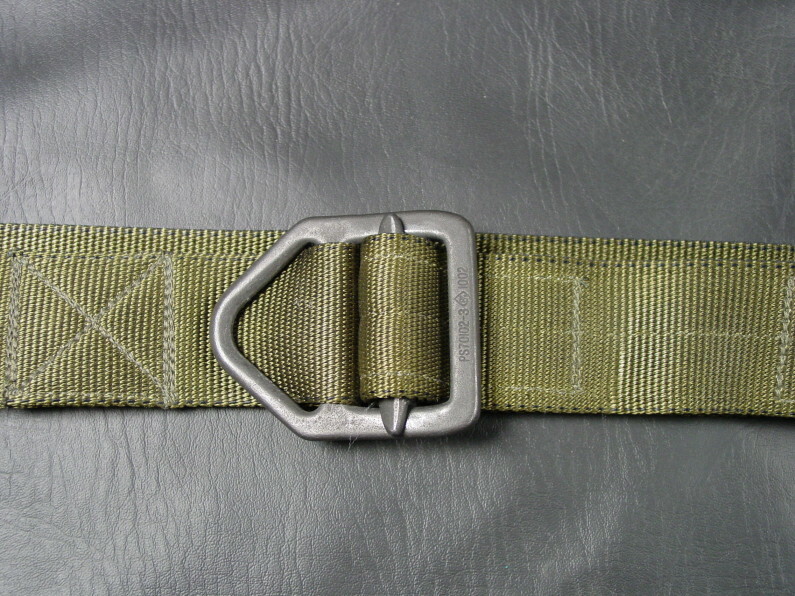 test Mil-Spec webbing buckle. The LRB is available in two versions; single thickness and reinforced double thickness. The LRB is currently available in black and olive drab. An absolute must for military and law enforcement. Available in black and Olive Drab also Single and Double thickness. I carry the full line of Specter Gear Tactical Slings. They are available for almost any rifle or shotgun. These are by far some of the best slings available, bar none. With so many slings and sling accessories available, it would be impossible to list every feasible combination. If you email me with your weapon and requirements I am sure I can help you out. I've personally tested these slings and I'm 100% sure you will be satisified. All Specter items are USA made. 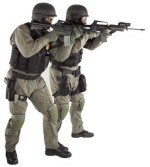 SOP Sling Armed Forces Deployment Package. Use with M-16A2, M4, M-203 with Emergency release buckle (the most versatile system) Available in Black, OD Green, and Desert Tan. 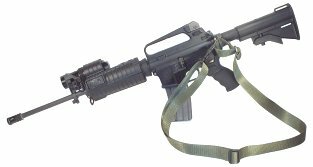 This is a good package if you haven't been issued your rifle yet, and you need a sling that will work with any M-16 variant. * Plus shipping & handling.